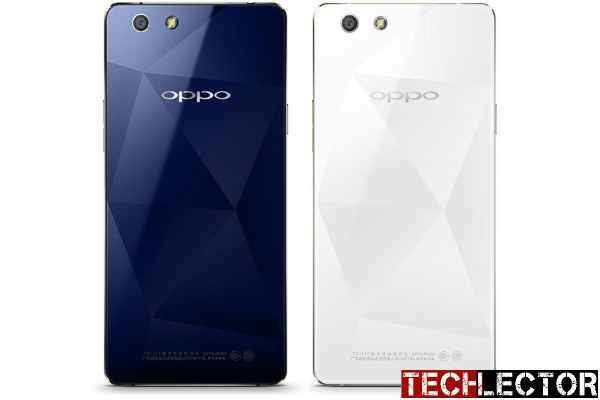 The Chinese handset maker OPPO has announced the launch of its newest handset – OPPO Mirror 5s. The newly launched Android handset is an upgrade of the previous OPPO Mirror 5. It is neatly designed for people who may have fallen in love with the OPPO Mirror 5 but want a clearer screen display. It flaunts a slim profile with a highly polished mirror finish rear and offers a large display (5-inch with HD screen resolution), a quad-core processor and latest Android 5.1 (Lollipop) OS. The OPPO Mirror 5s can’t help but be admired from all angles, thanks to its sleek exterior and inner strength. Whether you are intrigued by its utilitarian features from up close and personal, or captivated by its sparkling prisms from afar; the Mirror 5s opens new doors to new possibilities. Showing off a shiny and elegant exterior, OPPO Mirror 5s is a truly attractive device. The OPPO Mirror 5s has a compact dimensions of 143.4 x 71.2 x 7.7 mm, and weighs a comfortable 160g. It features a bi-metal frame with cross beams that ensures toughness and durability to remove any fear of the device being easily broken because of its thinness. One of the most interesting things about this phone, design wise, is its polished diamond-like glass at the rear offering reflective awesomeness. The new smartphone has a large 5.0-inch display with HD (1280 x 720 pixels) resolution display which is a little bit greater than that of the OPPO Mirror 5 with a qHD (960 x 540 pixels) resolution. With a pixel density of 294 ppi, OPPO Mirror 5s offers improved clarity for images and videos. OPPO Mirror 5s also impresses in the camera department with its 8-megapixel main camera with f/2.2 aperture lens and 1.4 um pixels size, shutterbugs can rejoice with the excellent photographic effects, greater photo-sensitivity for low light conditions and a swifter exposure time to minimize blurring, as well as the newly enhanced Pure Image 2.0+ engine, you can look forward to consistently superior images, day in, day out. The front side of the OPPO Mirror 5s sports an awesome 5-megapixel front-facing camera that comes with Beautify 3.0 technology, which eliminates the need for image editing, leaving you to focus on capturing beautiful and natural selfies to share with friends and family. It also comes equipped with multiple modes, matching gender, age, and so much more. Other features include modes like Time-lapse, Ultra-HD, Slow Shutter, Panorama, HDR, Super GIF, Audio Photo, Colorful Night, Expert Mode and Normal Mode to tell your story the way you want it to be told. The OPPO Mirror 5s is equipped with a Full HD (1080p) video recording capability while the selfie snapper can be used to record HD (720p) videos. The smartphone comes with 16 GB of onboard storage, extendable by up to 128 GB using a microSD card. OPPO Mirror 5s is designed to deliver reliable performance and enjoyable multitasking between games, programs and applications. The OPPO Mirror 5s is installed with the latest Android OS and kitted with a 1.2 GHz quad-core Qualcomm Snapdragon 410 processor clocking in at 1.2 GHz which is accompanied by an ample RAM of 2GB capacity. OPPO’s Color OS 2.1 software, which is based on recent Android 5.1 Lollipop OS, is the platform on which the phone runs. The Chinese company claims the software is designed with quality while keeping it simple, we accentuate the core contents and prioritize information accordingly. A clearly layered and minimalist version that provides a more entertaining user experience. The device is juiced by a large non-removable 2420mAh Li-polymer battery with fast charging feature that can make the battery reach 100% in 90 min. OPPO Mirror 5s comes with dual-SIM, dual standby capability to enable you use two SIM cards at the same time. Select models of the device support super-fast LTE connectivity. With super high speeds dual card slots and extra SD card slot to balance your work and personal needs, the Mirror 5s frees you up to achieve more in any given day while running an external SD card of up to 128 GB. OPPO Mirror 5s has a Smart Remote Control feature to enable you control a variety of home appliances from far away. You also get Wi-Fi 802.11 b/g/n (2.4 GHz) for wireless connectivity. OPPO Mirror 5s is not yet available in some countries. When available, you can buy the smartphone at any leading online stores in the country. Mirror 5s Price in Nigeria is expected to start from N40,000 – N55,000, depending on your location and place you are purchasing from.